This is Paul Janensch with a Treasure Coast Essay about the Stuart Boat Show. It’s less than two weeks away. 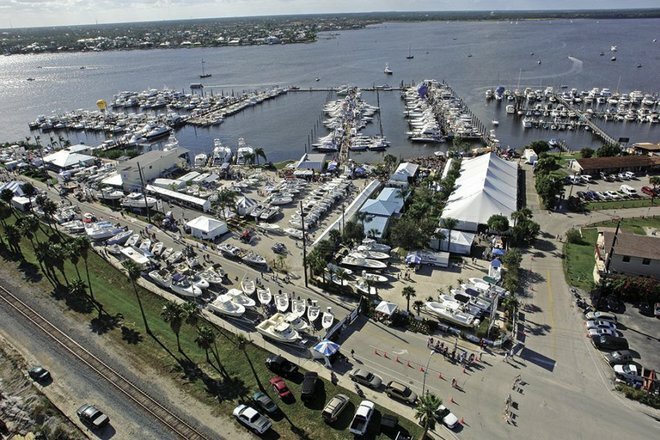 It started in the mid-70s and is now the largest boat show on the Treasure Coast. Hundreds of boats, in-water and on the land. Ocean-going yachts, cruisers, center consoles, speedboats, fishing boats, pontoon boats – ranging in size from 12 feet to 80 feet. Plus… Click here to continue reading the original post. Please check back in July for the 2020 Stuart Boat Show information updates. The current information is subject to change, but can still be used as a reference.